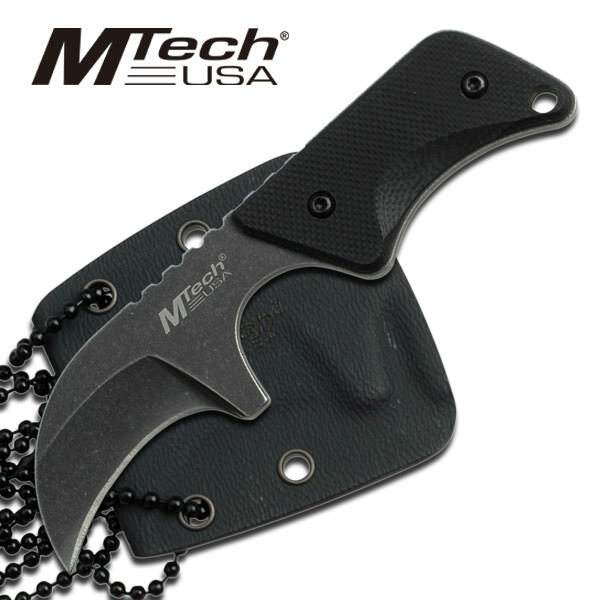 MTech Black Neck Knife With G-10 Handle. Features 4 Inch overall Knife, Curve Blade. Includes Kydex sheath.